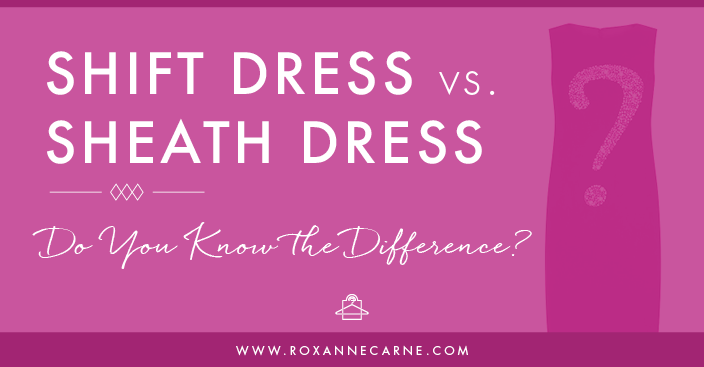 Here’s a question that my clients often ask me: what’s the difference between a shift dress and a sheath dress? Fortunately, the answer is quite simple and easy to remember! A shift dress is generally roomy and basically, well, shifts with you! It’s very comfortable and is very easy to move around in. The great thing about shift dresses is that they work well on most body types (they're great at disguising any problem areas), they can be worn casually, or they can be dressed up easily with the right accessories like a statement necklace or bracelet. You can also pair these dresses with heels, flats, or sandals! Before we get on to the sheath dresses below, here are my shift dress recommendations from excellent brands and retailers. Click the images for detailed product info! A sheath dress, on the other hand, is more fitted to the body – since it’s more fitted, it’s a bit more formal so it’s a great choice to wear at work and then afterward for an evening out. This can also be styled with nice accessories, a smart clutch, and killer heels. Very chic! Victoria Beckham, pictured below, is known for slaying in her sheath dresses! And here are some stylish sheath dress options for you to peruse. Click the images for detailed product info! So there you go! Do you like one dress type more than the other? Please comment below! Either way, you can’t go wrong with these choices! Postpartum Body & Style: Moms, You Might Relate to This! Some of the affiliates links may generate commissions for Roxanne Carne | Personal Stylist, LLC which helps support the time spent creating these very specific recommendations. Blewusi, thanks for your comment. Shift dresses are cute and fun! Real helpful, thanks! 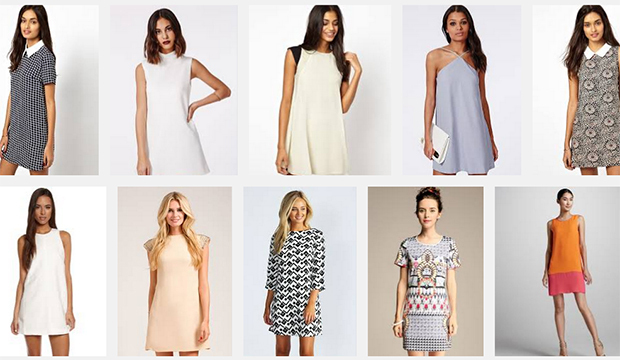 I read the term “shift dress” in a book and had no idea what it was referring to. I know what a ahift dress and sheath dress is thanks to my mom and grandma and auntie. Shift dress shift whent you walk. Thata how my mom descibe it. I descibe shift dress as dress not to tight it moves eith you when you walk. Think jackie kenndy shift dress during whitehouse years or should i say camelot years. Michelle Obama. Also wore shift dresses. Michelle also wears aline dresses. Sheath dress is dress wear work and date. Night. Think victoria beckham or marylnn monroe. Sheath dress are more fitted style. I like both sheath and shift dress. You can find on line at departnent stores. I recommend go shopping end august beginning september for sheath and shift dress for next summer. Get dress when on sale put in your closet when time go somewhrere you already have outfit. Thanks Roxanne. I never knew the difference until I read that. Keep up the good work. Freda, yay – so glad that my blog post taught you something new about dresses we wear every day! Thanks, Roxanne! I’m a Brazilian teacher and I was confused. It was very helpful. Depending on the occasion both are nice. Edna, thanks for visiting my blog all the way from Brazil! 🙂 Yes, they both are nice choices and based on the style, they’d be great for either casual, business, or formal occasions!